Standard items available from stock are shown below. These can also be tailor made to fit your requirements. 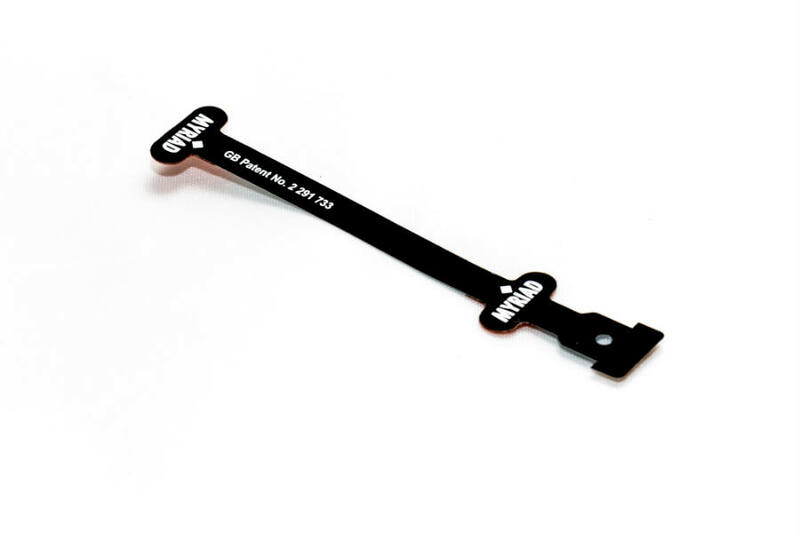 The Winged Tab is a self adhesive security sensor that when used with the Sygma alarm provides one of the most secure methods of protecting goods on display. It can be used on either flat or curved surfaces and cannot be removed without activating the alarm. Supplied in bags of 50 with surface cleaning wipes. Bespoke options are also available. The Phone Tab is a self adhesive security sensor that when used with the Sygma alarm provides one of the most secure methods of protecting goods on display. 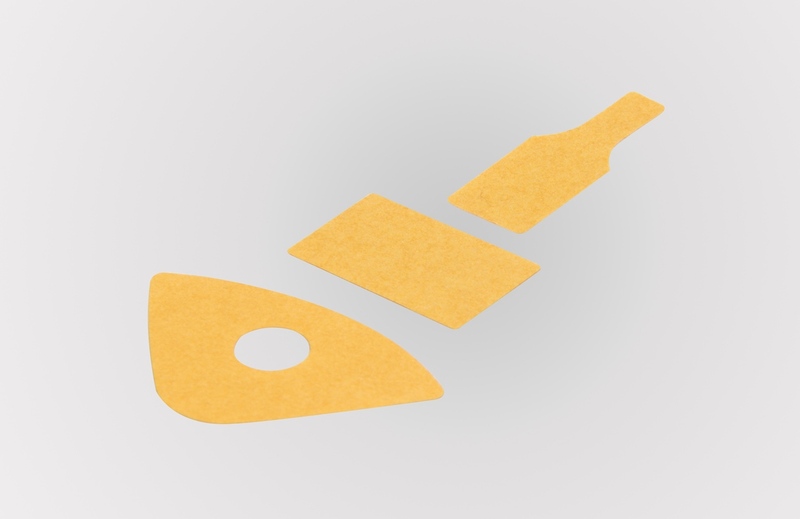 This Tab has been designed with two separate adhesive areas and is ideal for use on mobile phones. Like the Winged Tab it cannot be removed without activating the alarm. Supplied in bags of 50 with surface cleaning wipes. Bespoke options are also available. 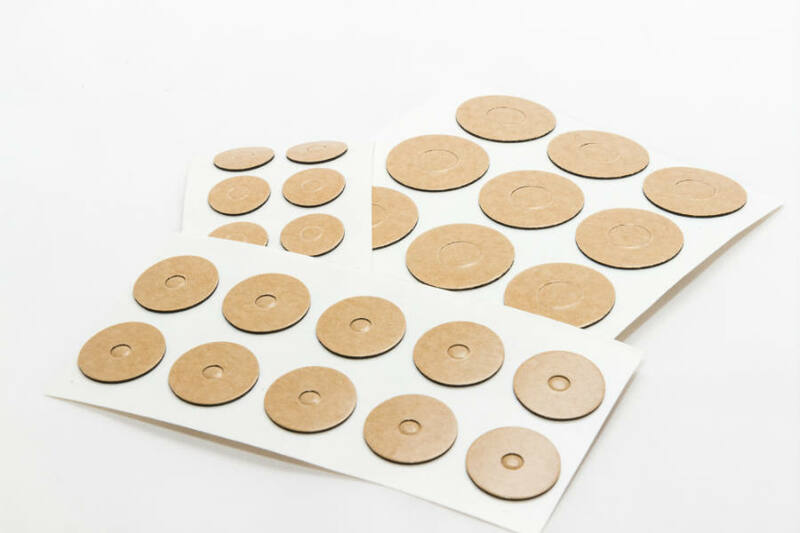 Self-adhesive Washers are available for all types of Myriad Limpets. They have extremely good adhesion qualities but can be removed from the product without leaving any residue. 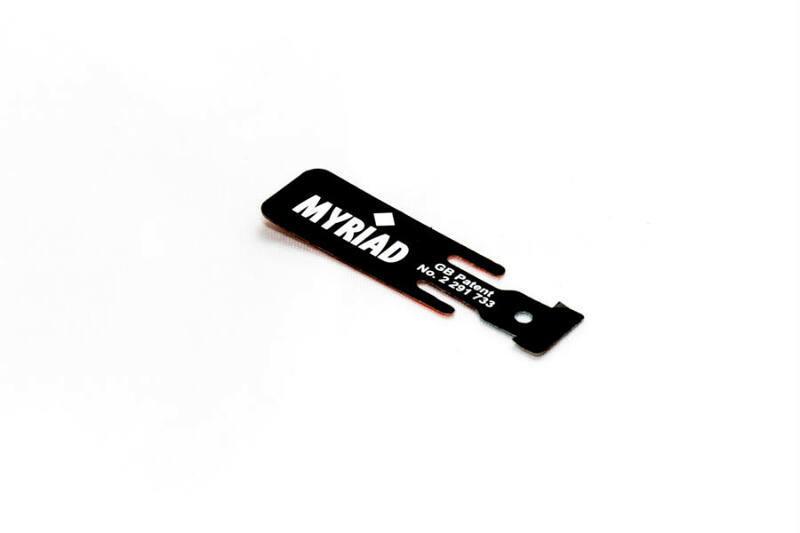 Mounting Washers are available for all types of Myriad products. The Tab Washer can be used for securing the Tab Connector to products, while the rectangular washer can be used for securing tracks to shelving or mobile phones to steel retractors.